Independence Day will soon be here, but the mattress sales have already begun. 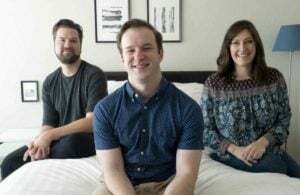 While the Fourth of July holiday may not be known for its mattress or bedding sales, the festive occasion actually offers plenty of opportunities to enjoy discounts on bedroom fixtures. 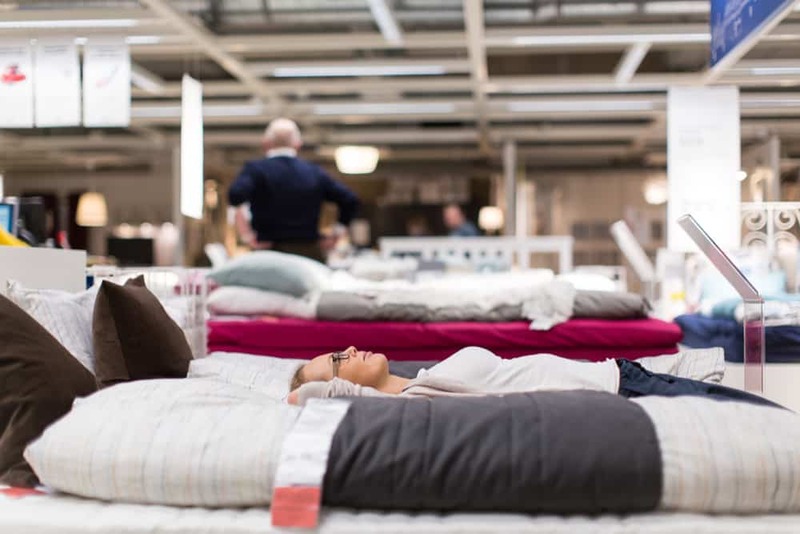 Big-name stores such as Mattress Firm and Sleep Number are offering pretty impressive sales, as are bed-in-a-box brands such as Leesa and Nolah. Companies are still announcing their sales as we get closer to the holiday — so if you don’t see something you’re looking for here, don’t hesitate to reach out to us or check back soon! You’ll find our current (and extensive) list of July Fourth mattress deals below. Happy shopping! Allswell: $150 off all orders over $495 when you use the code UncleSam. This sale expires July 8 at 11:59 p.m. EST. Amerisleep: Enjoy $200 off any mattress with code TAKE200 promotion. The promotion ends this Sunday, July 1. You can read our reviews of the Amerisleep line here. Bear: The code USA100 will get you $100 towards any purchase of $700 and up. The code USA200 will get you $200 towards any purchase of $1,200 or more. Check out our reviews of the original Bear Mattress and Bear Hybrid before you shop. Brooklyn Bedding: The brand is offering 20 percent off each of their mattresses (Signature, Aurora, and Bowery). Use the code INDEPENDENCE20 for mattresses, or take 30 percent off all sleep accessories with the code ACCESSORIES30. Both deals end July 4. Check out our reviews of the Brooklyn Bedding Signature, Aurora, and Bowery lines. Casper: Take $125 off purchases $1,250 and up and $225 off purchases $2,250 and up with code SUMMER. Sale ends July 9. 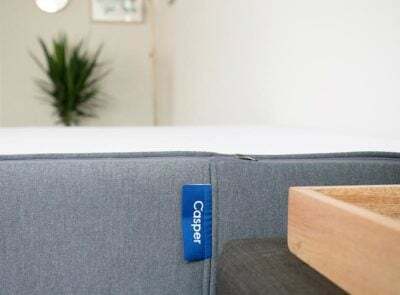 Read our Casper mattress review here. Also check out our Casper pillow review here and sheets review here. 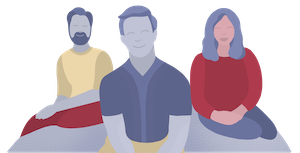 DreamCloud Sleep: Take $200 off your purchase now through the end of the holiday. You’ll need to enter your email address to claim the deal. (Savings will be auto-applied at checkout.) Check out our review for the DreamCloud Mattress here. GhostBed: You can save up to $200 off your purchase and get two free GhostPillows (a $170 value according to the brand). You can read our review of the GhostBed here. Helix: The sale from Helix Sleep includes $100 off the purchase of a mattress (use code July100), or $150 off a bundle purchase (use code July150), which consists of a mattress plus any one of their additional items. The promotion extends through the first week of July. Read our review of the Helix Mattress here. Layla: They are offering $100 off a mattress and a free pillow or $50 off a foundation and $25 off Layla pillows without the purchase of a mattress. Discounts will be automatically applied at checkout. The sale lasts until July 9. Check out our review of the Layla Mattress here and the Layla pillow here. Leesa: Up to $160 off the Leesa mattress and up to $235 off the Sapira mattress when you use code JULYVIP18. The sale ends on July 4. Read our review of the Leesa mattress here and the hybrid Sapira mattress here. Lull: Through July 5, save $150 on your purchase of the Lull premium mattress. The discount is automatically applied at checkout. You can read about what we thought of the Lull mattress here. Luxi: You can save $250 off a Luxi mattress by using code JULY4. Mattress Firm: The company is offering a free adjustable base with mattress purchases over $599, while supplies last. Mattresses are also on sale; discounts vary by model. Nectar: The brand is offering $125 off your purchase and two free Premium Pillows (a $275 value according to Nectar). To claim the deal, click here enter code CLARITY125 at checkout. The promotion should run through at least July 4. 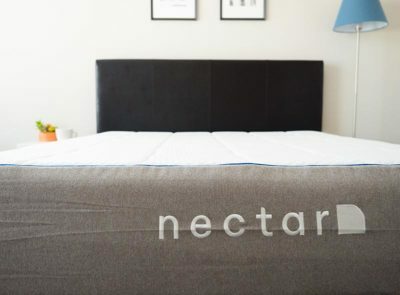 Read our review of the Nectar mattress here. Nest Bedding: Get a Free Luxury Brushed Microfiber Sheet Set and save up to $100 when you purchase select mattresses. The sale lasts through July 4; more deals may be announced before then. Use code AIRFOAM to get $125 off the Nolah Signature 12″ mattress and two free AirFoam pillows. Use code AIRFIBER to get the Nolah Original 10″ mattress and two free AirFiber pillows. Use code SIGNATURE to get $300 off the Nolah Signature 12″ mattress. Use code ORIGINAL to get $125 off the Nolah Original 10″ mattress. Discounts cannot be stacked, and the sale ends Thursday, July 5 at midnight PST. Check out our review of the Nolah Mattress here. Overstock: Get an extra 15 percent off select mattresses, air beds, memory foam toppers, and pillows. Free shipping may apply; check the details on specific products. Purple: Free gift with a mattress purchase. Choose between a pillow, seat cushion, sheets, or mattress protector. The gift is applied at checkout, and the promotion runs while supplies last. Read our review of the original Purple Mattress here and the Purple, 2, 3, and 4 mattresses here. Sears: Members get an extra 10 percent off site-wide when they use the code FIREWORK (online only). Members who spend $125 site-wide get 125 cashback in points. For mattresses, Sears is offering up to 60 percent off top brands like Stearns and Foster, Beautyrest, and Serta. Free assembly and delivery is offered for purchases over $599. 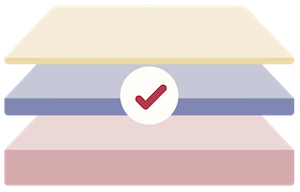 Serta: Purchase a Serta iComfort or iComfort Hybrid mattress between now and July 9 and choose either a free standard boxspring (same size as the mattress purchased) or up to $500 off a qualiﬁed Serta adjustable foundation. Savings offers on the adjustable foundations will vary by model and size and are available only with the Motion Perfect and MotionPlus™ adjustable foundation models. Maximum $500 savings applies only to King sized adjustable mattress sets. Read our review of the Serta iComfort here. 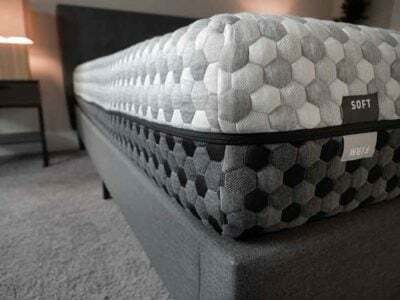 Simmon’s Beautyrest: Get a free box spring plus a free Beautyrest Sleeptracker or save up to $600 on a Beautyrest SmartMotion Base with the purchase of a Beautyrest Silver Hybrid or Beautyrest Platinum mattress. You are also eligible for savings of up to $900 with the purchase of Beautyrest Black sets. This promotion is valid with eligible mattress purchases at participating retailers made between now and July 9. You can read our review of the Simmon’s Beautyrest Mattress here. Sleep Experts: While supplies last, receive a free adjustable base with purchase of select mattresses as part of the brand’s July Fourth sale. Also, as part of their Anniversary Sale, get 15 percent off your purchase of brands including Serta, Sleepy’s, and Beautyrest. Sleep Number: Sleep Number has quite a few sales going on (outlined below). I wasn’t able to confirm if they’re doing anything else for July Fourth, so check back if you’re interested. You can read our review for Sleep Number beds here. Save $300 on a Queen Sleep Number c2 mattress. Save $200 on a Queen Sleep Number 360 p5 Smart Mattress. Save $400 on a Queen Sleep Number 360 p6 Smart Mattress. Save $500 on a Queen Sleep Number 360 i7 Smart Mattress. Save $500 on a Queen Sleep Number 360 i8 Smart Mattress. Save $500 on a Queen Sleep Number 360 i10 Smart Mattress. There are additional sales on Sleep IQ Kids Beds, pillows, and bedding as well. Sales end July 8, and discounts are automatically applied at checkout. Tempur-Pedic: Save $550 on Breeze and Luxe mattress sets now through July 15. Get $300 free in accessories of your choice if you purchase any Tempur-Pedic mattress and foundation, or a Tempur-Pedic mattress and TEMPUR-Ergo Adjustable Base at retail price. You’ll also get an instant $300 credit on adjustable bases or accessories and pillow bundle deals that start at two for $99. Read our Tempur-Pedic review here. Tomorrow Sleep: Get $75 off and two free pillows when you spend $500 or more ($175 value according to the brand). Use code STAR at checkout; when you enter the promo code, the pillows will automatically be entered into the cart. The sale ends July 11. 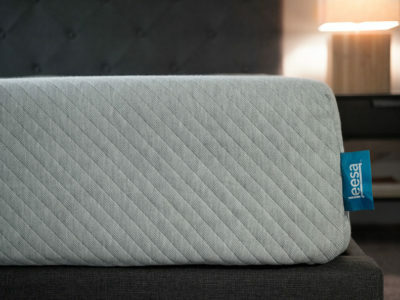 Read our review for the Tomorrow Sleep Mattress here. Tulo: Save up to $270 on the Tulo LIV mattress through July 4 or as supplies last. Tulo is part of the Mattress Firm family. Wayfair: Mattresses are up to 70 percent off. Deals include Wayfair Sleep’s 12″ memory foam mattress and the Nora mattress. WinkBeds: Through July 9, save $100 on all WinkBeds on their website. Read our review of the WinkBeds mattress here. *Please note: The Saatva Company family of mattresses — including Loom & Leaf and Zenhaven — say their everyday prices are their holiday prices and will not offer any additional discounts. Read our review for the Saatva mattress here, the Loom & Leaf here, and the Zenhaven here.